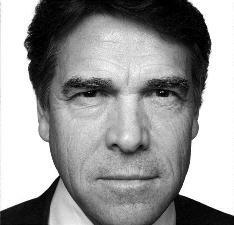 Rick Perry is in the news again. It is likely that President-elect Donald Trump will name the former Texas governor as his Secretary of Energy. There is a peculiar irony here since it was Perry’s inability to remember the name of the Department of Energy in a televised debate that sank his own presidential bid. It is also a peculiar irony that Trump would select Perry to head a department that Perry said he would eliminate if elected President, but this is the election of 2016…can anything be a considered a surprising irony anymore? After all, a billionaire has been elected President by people who fear the oligarchic takeover of their government. This post is not an indictment of that last contradiction, however. It is a personal indictment of the former Texas governor, himself. 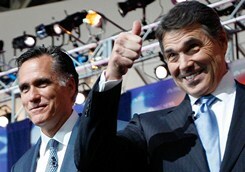 I simply do not like this man’s politics and I do not like to see his Longhorn grin anywhere near our government. Never mind that Texas topped the nation during his term in the number of citizens without health insurance and the Agency for Healthcare Research and Quality ranked the state’s care level the lowest in the nation. Never mind his Good Old Boy “I didn’t name it ‘N—erhead’” arrogance concerning the name of his favorite hunting lodge, and never mind his appropriation of 25 million dollars from the pockets of Texas taxpayers to renovate his governor’s mansion, while at the same time cutting education funding and Medicaid benefits. The biggest Texas-style reason I don’t like Rick Perry is that he is unmoved by reason and his unwillingness to think objectively about anything that contradicts cliché macho justice. I’m talking about the fact that he let a man, who was likely innocent, die on Death Row. For those of you who don’t know, a man named Cameron Todd Willingham was convicted of murdering his three young children by arson at their home in Corsicana, Texas in 1991. Local forensics concluded that it was arson based on flammable materials found and the pattern of the fire. Prosecutors maintained that Willingham’s posters of Iron Maiden and Led Zeppelin indicated that he fit the profile of a sociopath. 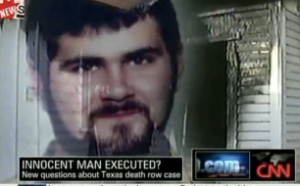 Willingham was executed in 2004. An appeal investigation after his conviction, however, proved conclusively by veteran arson investigators and superior forensics that every single point of conclusion previously made was false; that the fire was consistent with an accidental ignition from faulty wiring and that the pattern of the fire did not indicate intentional ignition. They also concluded that the flammable liquid was clearly from the outdoor grill on the front porch and even physical evidence on Willingham and testimony led to a determination of innocence. When presented with the new forensic evidence, Governor Perry, who had the authority to stay the execution and to grant a new trial, refused, saying the jury has spoken and that even Willingham’s wife thinks he’s guilty. His wife, for the record, had changed her previous position which praised Willingham as a loving, doting father who never could have done such a thing, to an accusation of guilt after they had a contentious argument during a visitation. For Rick Perry, evidence that was more than just a suggestion of possible innocence, but was highly potent, was not enough to stay an execution, nor was it compelling enough to consider justice to possibly save a man’s life. It was enough for Rick Perry that Willingham used foul language toward his wife to justify his death at the hands of the State. That isn’t an anomaly in the life of Rick Perry; this stands as an example of how he considers justice and weighs decisions; shoot from the hip and maintain your tough guy status. Can a person like that be responsible for anyone who falls into troubled circumstances? 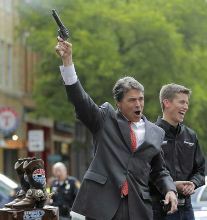 How could this man have become governor of the great state of Texas? How could anyone have even considered this man for the highest office in the land? How can he now become the Secretary of Energy of the United States of America? It’s worth noting that more than half of the Energy Department’s budget is devoted to managing national security through the military application of nuclear science and running our programs on nuclear nonproliferation and counterterrorism. For the record, the two men who served as President Obama’s energy secretaries were physicists, one with a Nobel Prize. Perry holds a bachelor’s degree in animal science from Texas A&M; a perfectly respectable degree, but conspicuously contrary to managing forms of energy, the different trophic levels in ecological systems, and nuclear platforms. There is nothing new about this kind of irrational extremism. What is new is that it has emerged from the shadows of a truthful center and taken a populist revolution toward the brink of insanity. But, we are the ones who will be responsible for our own death sentence if we allow a jury of extremists to control policy in Washington. …and then he’s off to “N—erhead” for a weekend of family fun! You must be <a href="http://garyhasissues.com/wp-login.php?redirect_to=http%3A%2F%2Fgaryhasissues.com%2F2016%2F12%2Five-seen-the-needle-and-the-damage-done%2F">logged in</a> to post a comment.